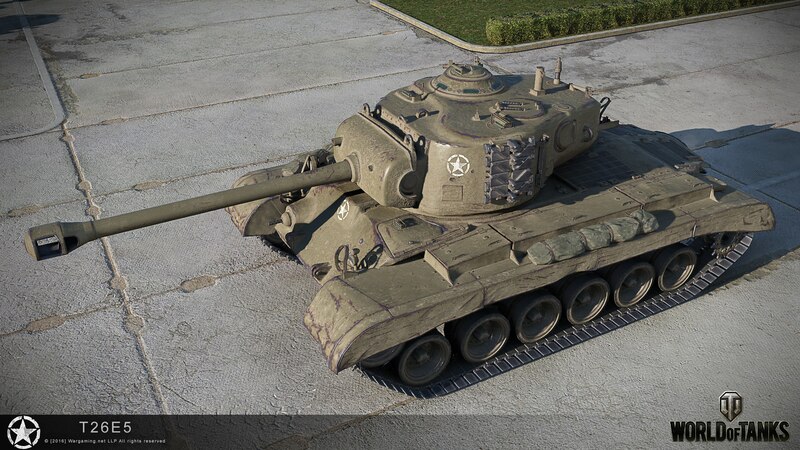 Some blogs and other sources have been reporting that the upcoming American Premium Heavy Tank T26E5 stats have been updated recently, main changes were the penetration nerfed to 212 instead of 230 and the reverse speed of 20 KM/h instead of 15 KM/h. 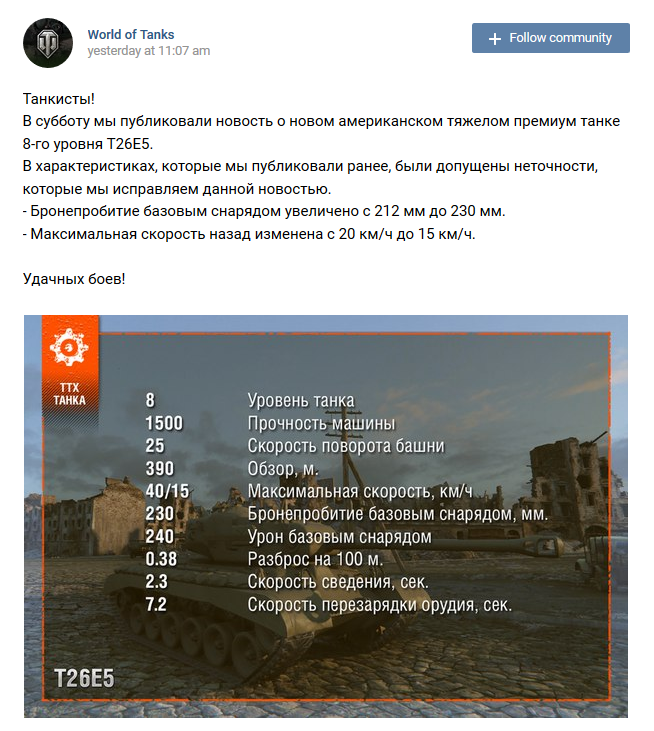 Wargaming RU has released a post on their VK Page (Russian Facebook) warning players that the previous information was not accurate. Stats will remain the same as previously reported here on the Daily Bounce. 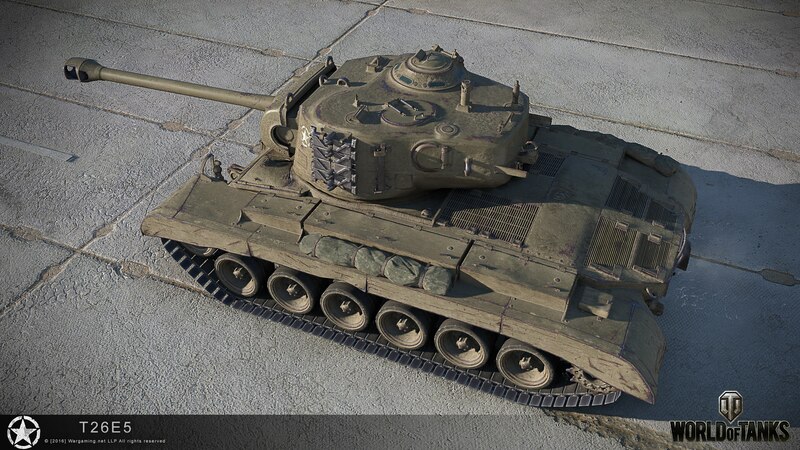 No nerf/buff have been applied and the tank will have 230mm penetration and a reverse speed of 15 KM/h. 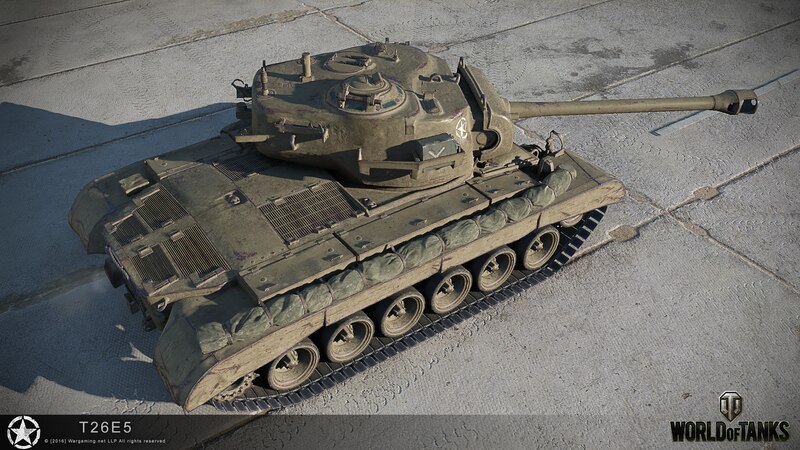 On other news, the T26E5 Patriot stats are exactly the same as the normal version of the tank, the only difference is the special skin applied to the tank. 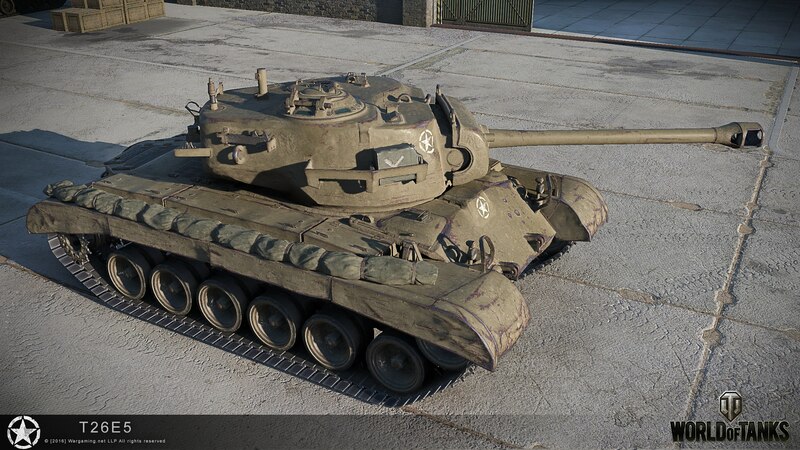 Here’s the Official HD Renders, that unfortunately I didn’t have time to share sooner. 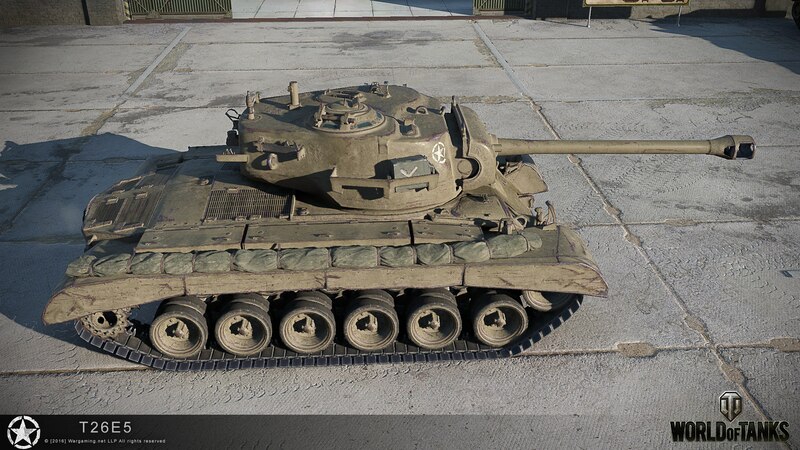 The picture says 40/15 km/h, whats that about? 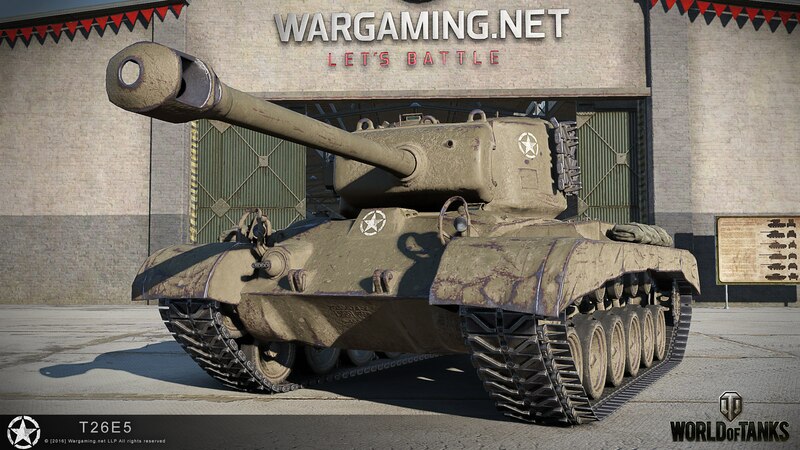 The tank looks awesome (without that ugly skin).